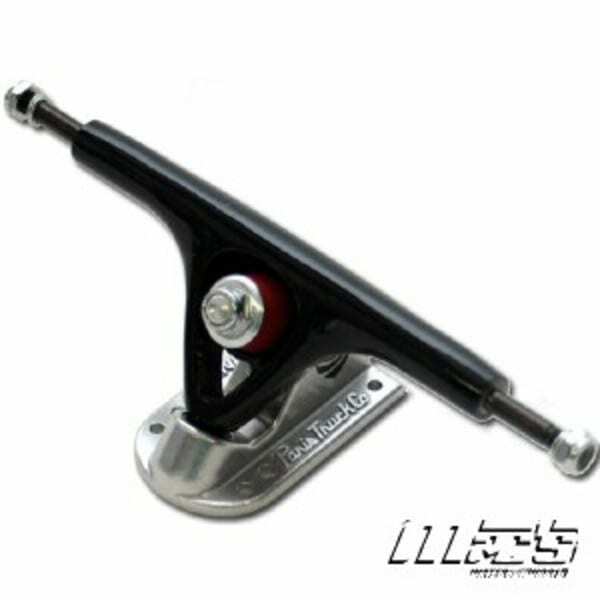 Venom Downhill Bushings. These bushings are built for speed! The double barrels offer supreme stability and control at high speeds. Crank these baby’s down and be sure to skate safe! 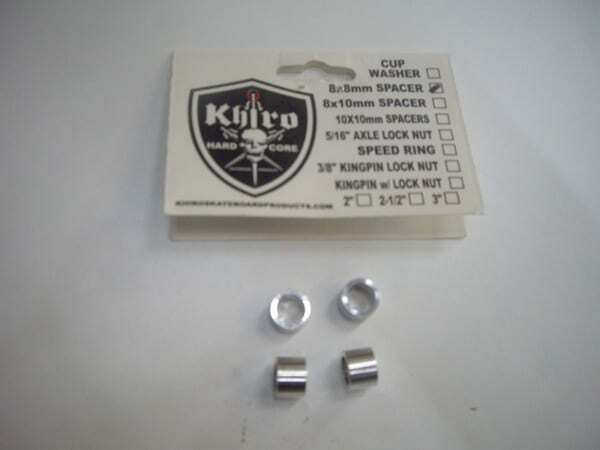 Package includes two barrel style bushings. Be sure to order a quantity of two if you’re replacing a full set for your trucks. 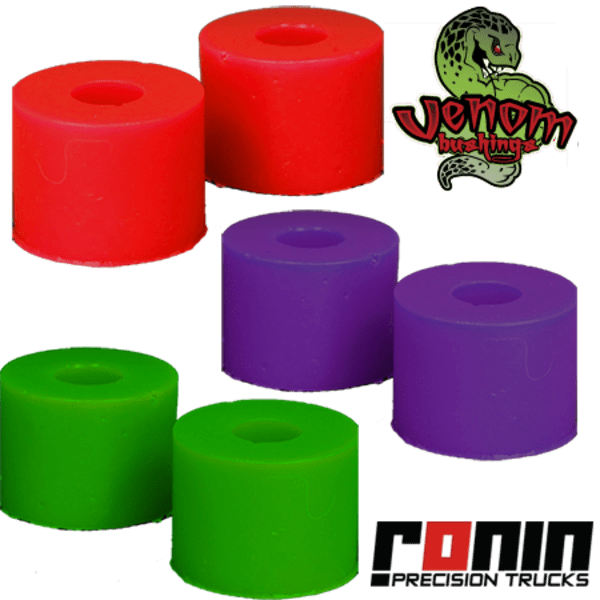 Venom Bushings are made in the U.S.A. using a unique urethane enabling a higher rebound to help you get back on your line!! To get more turn out of these bushings without having them loose, try flipping the top washer and cranking the nut down tight. 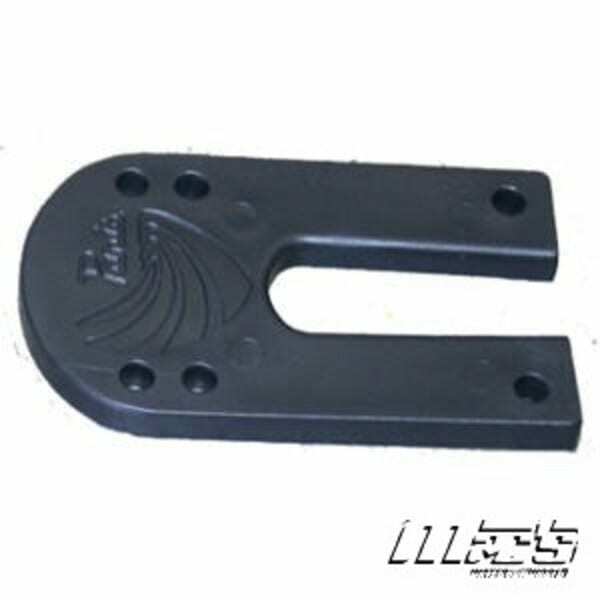 This will allow more steer from your trucks while still keeping them tight and stable.